New Alleged photos of the Motorola Moto X+1 have surfaced alongside detailed information regarding the phone's specifications. The photos received by AndroidPolice.com show the phone in its full glory with a custom wooden back. 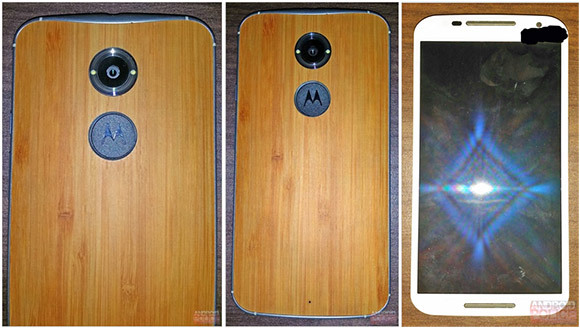 According to the tipster who sent the photos, the Moto X+1 is in a "near-final prototype" stage. 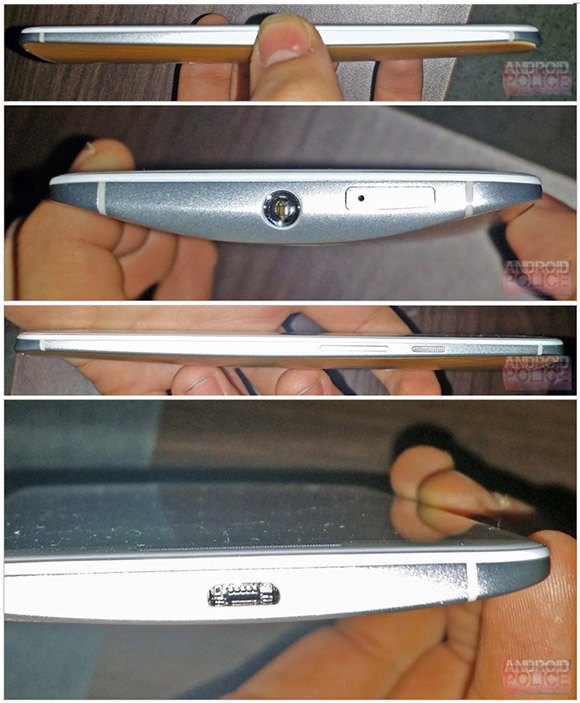 The phone features a similar shape to the Moto X and also has silver accents on the side that's claimed to be aluminum. At the front, there's a 5.1" display that was previously known to be of 1080p resolution. Below it, there's a loudspeaker, while the earpiece is above it. Visually, the front shares the aesthetics of the Moto E.
The back is far more interesting and the use of wood is just part of the reason. The camera, rumored to be 12MP, has a dual LED flash configuration, each placed at 9 and 3 o'clock. Below the camera, there's the Motorola logo, finished in what seems to be a grippy texture. The rest of the unconfirmed spec list includes a Snapdragon 800 chipset with a quad-core 2.3GHz Krait 400 CPU, Adreno 330 GPU, 2GB of RAM and 32GB of storage, sans a microSD card slot. The battery is reported at 2900mAh. ^ Then don't buy the wood variant? Motorola Moto X+1 will have Snapdragon 800 quadcore 2,3GHz Chip + Motorola X10 Chip = Octa Core.